Knowing how to compare quotes from tradespeople, whether a builder, roofer, electrician or architect, is an essential part of your project process. One professional might value a particular job higher than another and knowing what to ask for could lead to a lower cost project and a better quality finish. Before you decide on who to work with, find and get to know potential tradespeople professionally by viewing their previous work and seeking reviews from prior clients. Once you’ve found a select number that you like, ask at least three of them to provide quotes for your project and then begin a comparison. Ready to get started? Now find out how to hire a reliable tradesperson. Check out our extension cost calculator, too, to get a good idea of your extension's cost. To get an accurate quote, research must start before you approach potential trades. Being clear and precise about the work you want done is the most important factor, so you should have a well-thought-out idea of how you want your home to look before asking for a quote. List all the jobs you require with as much detail as possible, including the exact number of fittings, such as sockets and doors, enabling a trade to factor in material costs, as well as labour, too. Provide each trade with the same breakdown to get an accurate idea of costs, which is also crucial to making sure quotes can be compared like-for-like, and start by creating your own tender document, to include a comprehensive list of the work and materials required. a clear brief, tender and by discussing expectations in advance. Find out how to hire trades in our article, or check our Checkatrade.com for trusted tradespeople in your area. So, when should you ask for a quote? The time to request a proposed cost should come after you’ve agreed a design scheme and applied for all relevant permissions, including planning consent and building regulations approval. By then, you will be in a position to provide each trade with a copy of your detailed floorplans, complete with accurate dimensions, which will clearly illustrate what work is required. 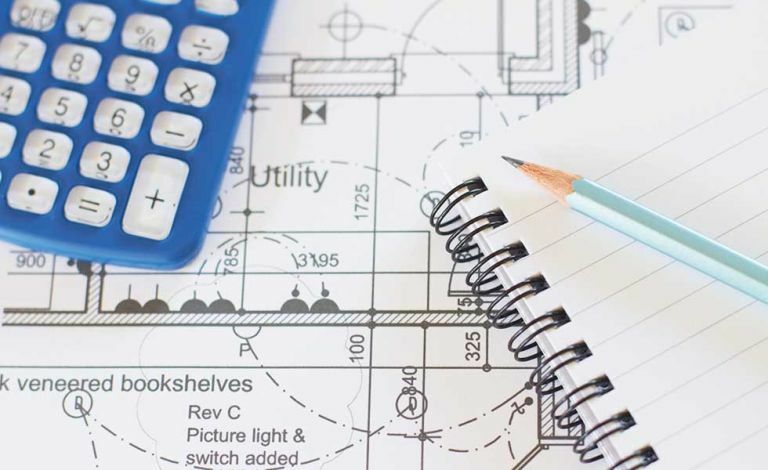 If you are working with an architect or designer on your plans, ask them to supply you with a quantity list of required materials and give this to each potential trade when asking for a quote, or if you’re project managing, you will need to compile this yourself. Don’t reveal how much you have available to spend straight away, but wait until you receive the quote and assess whether it works with your budget plan. If the price is slightly above your expectations, speak to the professional to see if you can reach a deal. It’s a good idea to ask each contractor to provide a similar style of breakdown for ease of comparison, and make sure you request accurate figures, not estimates. Comparing quotes is simple if you’ve put effort in early on to supply a comprehensive tender document and been thorough in your brief. The more time you can spend researching costs and materials, as well as the tradespeople and past clients, the better equipped you’ll be to assess if a quote is the right one for you. Once you’ve received your quotes, don’t only look at the price: go through the breakdown, including the cost of materials, charged labour hours and how long they expect the work to take. The devil is in the detail, so the more information the contractor can provide, the better, as this will make it easier to compare multiple quotes on a like-for-like basis. If you think there isn’t enough detail, ask the tradesperson to clarify. Write out a list of questions to act as a ‘score chart’ for each quote you receive. Ask: Does the quote meet my expectations? Does it fit within my budget? Is it much more expensive or drastically cheaper than others I have received? Does it cover everything in my tender document? Are both labour and materials included? And is it in line with costs for similar projects I have seen? While cost is, of course, important, it should not be the only consideration. The price should be just one of the decision-making criteria, as there is some truth in the saying 'you get what you pay for' when it comes to construction work, and good skills, experience and quality materials will come at a price. We all want a cheap price, but getting the finish you want is far more important. A quote that comes back beyond your price expectations can take you by surprise, so if one is much more expensive than the rest, ask why. Have costs been inflated or work hours extended beyond the reasonable? Beware of quotes that are so low that they are too good to be true. Warning signs that an offer is not reliable include a lack of detailed breakdown, no list of material specifications, including amounts and cost, and failure to present the quote formally with the company name and registration number, VAT details, address and contact information included. If the tradesperson is unwilling to put the offer in writing, alarm bells should start ringing. What’s left out of a quote is as important as what is included A professional quote will be detailed and transparent, including a clear scope of works, provisional costs and specific exclusions with reasons, which could happen if sufficient information wasn’t available in the tender, so will need to be confirmed. What if all quotes are too high? If all quotes are over your budget, this could also be an indication that your price guide is set too low for the work required. If so, speak to your designer to reassess the construction requirements and tweak your tender document if needed, or increase the funds available. In some cases, you may be able to work with the contractor to drive down costs and make savings by opting for more affordable materials or sacrificing parts of the design in favour of higher quality elsewhere, but this will require careful consideration. You may also want to take time shopping around for a better rate by purchasing materials yourself, and ask the contractor to re-quote for labour only. Legitimate tradespeople will have a fixed pricing structure in place, so labour costs are unlikely to change, but if a quote is too high, or you’d like to negotiate, don’t be afraid to speak and have a frank, open discussion about what you can afford. Once all quotes are in, you’ve analysed each and checked out the tradesperson’s reputation, you can make a decision on who to hire. Make sure you ask your chosen trader to write down all agreements, which should be completed and signed by you and the professional before work commences. This will form the basis of a contractual agreement, along with a scope of works and payment schedule, and protect both parties in the event of a dispute. You could ask your architect or designer for a second opinion, if possible, to double-check everything has been covered, or carefully go through plans again yourself if you are managing the project. Following this, you can begin to put a formal, contractual agreement in place, including a phased payment plan. But always remember to never pay the full amount upfront. Need to know: what’s in a quote?